Definition at line 187 of file _iterator.h. Referenced by BinsertTest::binsert2(), IStreamIteratorTest::copy_n_test(), PtrSpecTest::ptr_specialization_test(), SetDifferenceTest::setdiff1(), SetDifferenceTest::setdiff2(), SetIntersectionTest::setintr1(), SetIntersectionTest::setintr2(), SetDifferenceTest::setsymd1(), SetDifferenceTest::setsymd2(), SetUnionTest::setunon1(), SetUnionTest::setunon2(), and TransformTest::trnsfrm2(). Definition at line 216 of file _iterator.h. 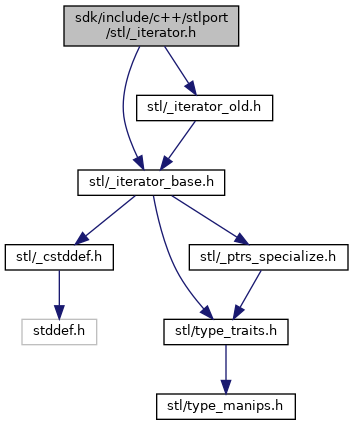 Referenced by FinsertTest::finsert2(), and PtrSpecTest::ptr_specialization_test(). Definition at line 250 of file _iterator.h.